Here you’ll find, in the name of the Edward Schillebeeckx Foundation, a In Memoriam by Erik Borgman and Robert Schreiter. Edward Cornelis Florent Alfons Schillebeeckx was the sixth of the fourteen children born to his father Constant and his mother Johanna Calis. He saw first light on 12 November 1914 in Antwerp, while his family was displaced due to the recently launched First World War. He grew up in Kortenberg, an old town in Flemish Brabant, between Louvain and Brussels, where his father worked as a chartered accountant for the Belgian government. Like many of his brothers he was sent to the Jesuit school in Turnhout. There he received a classically tinted education in French, in a regime he found too rigid. This dissuaded him from following an older brother into the Society of Jesus. Edward chose to join the Dominicans and when he was nearly twenty years old, he was accepted into their house in Ghent. After a year’s novitiate, he spent three years in Ghent studying philosophy. During these years he was strongly influenced by Domien De Petter, the students’ spiritual director as well as their most prominent philosophy teacher, who had made a personal synthesis of traditional ideas from the thought of Thomas Aquinas and contemporary phenomenological and personalist philosophy. He encouraged Schillebeeckx to undertake philosophical research on his own account. His subsequent military service was for him, as a religious, mostly spent in study that passed smoothly over into his four years of theology in the Dominican house in Louvain, almost undisturbed by World War II. After the stimulating philosophy in Ghent, the formal and closed approach to theology presented in Louvain was a disappointment. Inspiration was provided by the reading of the work of `theologians of life’ such as Karl Adam. In 1943 Schillebeeckx became temporary lecturer in theology in the Dominican study house in Louvain. As soon as conditions permitted, he was sent to Paris for specialised studies. He took courses both in the Dominican house of studies Le Saulchoir (with M.-Dominique Chenu and Yves Congar, among others) and at the Sorbonne, the École des Hautes Études and the Collège de France. Here he had a first-hand view of post-war existentialism, (Christian) Marxism and the Worker-Priest Movement in the French Church. On returning to Louvain, Schillebeeckx was assigned to teach the whole of dogmatic theology. This gave him the opportunity to develop a new approach, both historical and systematic, building on what he had learned from De Petter, Chenu and Congar. Apart from his extensive lecture notes, a small booklet on Mary and his thesis on the sacraments, Schillebeeckx wrote numerous articles at both scholarly and popular level and became rather well known both in Flanders and in the Netherlands. From 1957 until 1983 Schillebeeckx’s life and theological development were closely connected with the Faculty of Theology in Nijmegen. During his Louvain period, Schillebeeckx had made a name for himself as being a theologian who knew how to present the Catholic tradition – not as a rigid, indisputable doctrine, as was common at the time, but – as a reflective expression of a living faith in a living God, an expression that was related to the concrete history of human beings and their culture. 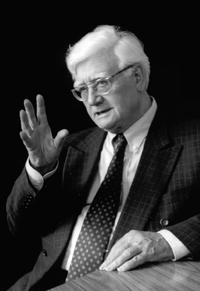 Through his background and studies, Schillebeeckx had links with the fundamental renewals that took place in the post-war period, particularly in French theology. The challenge then was to establish a new connection between the Catholic faith and contemporary society and culture. Dutch Catholic theology had always been strongly focussed on church life and pastoral care in the Netherlands itself. Influential people in the Dutch Church and the University of Nijmegen saw the necessity to connect with broad and international developments within the Catholic Church, and made a successful effort to bring Schillebeeckx to Nijmegen from Louvain, where as a religious he could at the time not hold a professorship at the university. Indeed, Schillebeeckx managed to introduce a new element, namely the international debate that tried to make a theological contribution to the reflections on contemporary questions and dilemmas. He was particularly appreciated for his groundbreaking vision of the sacraments, which he developed in his first major book, his doctoral thesis entitled De sacramentele heilseconomie (1952, ‘The Sacramental Economy of Salvation’, not published in English). In this book he explained that baptism, confirmation, ordination, marriage, extreme unction, confession, and the Eucharist in particular, were no mysterious, almost magical rituals, but celebrations, expressions and presentations of the Christian faith in all its fullness. Many saw in the 1950s the need for renewal of the Catholic liturgy, and Schillebeeckx’s study was considered an important theological contribution underpinning this renewal. In 1958, against this background, Schillebeeckx began to lecture at the Faculty of Theology and other faculties in Nijmegen. The Second Vatican Council, which was so unexpectedly announced by Pope John XXIII on 25 January 1959, was to have a significant effect on Schillebeeckx’s career. He soon became intensively involved in the preparations for this Council and was to be the most important advisor to the Dutch bishops. In 1960, he drafted a pastoral letter for them on the meaning of the Council, causing quite a stir internationally and establishing the reputation of the Dutch Church as being `progressive’. The lectures that Schillebeeckx gave in Rome between 1963 and 1965, the period in which the Council actually took place, won him international fame. Because of his close relationship with the Dutch episcopate and his appearances on Dutch television, he was considered the theological mouthpiece of Dutch Catholicism. It was largely thanks to him that the Netherlands in general and the Faculty of Theology in Nijmegen in particular became internationally known as a place where theology was practised in an innovative and open manner and at a high level. Like other theologians striving for renewal, Schillebeeckx initially considered the Council primarily an opportunity finally to draw the obvious, practical conclusions from previous theological developments. Actually, the Council proved to be much more than that. According to Schillebeeckx, it posed quite penetrating questions concerning the relationship between the Catholic Church and the contemporary world. No longer was the Church presenting itself as separate from, or in contrast to, the world. From then on it would be closely involved with the world’s ‘joy and hope, sadness and anxieties’. Schillebeeckx spent the rest of his life developing a theology that would fit such Catholicism, even when the optimism of those Council years had long disappeared. Schillebeeckx has worked all his life for a theology that would have meaning for a larger public. In 1960, in the start-up phase of the Council, he had taken the initiative for Tijdschrift voor Theologie, a journal that aimed to relate contemporary questions to scholarly theological reflection. In 1965, on the initiative of the publisher Paul Brand, Schillebeeckx and a number of other prominent Council theologians – Yves Congar, Hans Küng, Johann Baptist Metz and Karl Rahner – set up Concilium, an international theological journal, in order to continue the Universal Church-wide debate and focus on contemporary issues that had characterized the Council. Both journals still exist today. The relation between faith and culture, the Church and the world, has always been the central theme in Schillebeeckx’s theology. In the period following the Council he sought ‘with a feverish urge’ (met koortsachtige aandrang), as he wrote himself, for a theology in view of a church that was inextricably connected to the world. However, the world confronted the Church with rapidly increasing secularisation and other radical social and cultural changes. In the 1970s, Schillebeeckx wrote his two ground-breaking studies on Jesus and his significance: Jezus, het verhaal van een levende (`Jesus: An Experiment in Christology’, 1974) and Gerechtigheid en liefde, genade en bevrijding (`Christ: The Christian Experience in the Modern World’, 1977). These books showed that scientific and religious views about New Testament writings and early church history do not contradict one another. Furthermore, they showed that the Christian faith might have fundamental meaning for contemporary people committed to changing the world. Schillebeeckx was very much engaged in various forms of Critical Theory. He had an affinity with what is called the `political theology’ of Johann Baptist Metz and also, from its very inception, with Latin American liberation theology. In 1979, the University of Nijmegen awarded an honorary doctorate to the Peruvian theologian of liberation Gustavo Gutiérrez, on the occasion of which Schillebeeckx delivered the official promotion address. Schillebeeckx also remained involved in more internal church developments. He wrote penetrating and controversial theological works on the organization of the Church and especially on the interpretation of the priestly ministry, in Kerkelijk ambt (`Ministry: A Case for Change’, 1980) and Pleidooi voor mensen in de kerk (`The Church with a Human Face: A New and Expanded Theology of Ministry’, 1985). As an advisor to the episcopate in the 1960s and 1970s, he also became involved in the conflicts that the developments within the Church and, more particularly, within Dutch Catholicism caused both nationally and at the level of the Universal Church. Three times the Roman authorities summoned him to justify his theological ideas during the post-Council period. None of his views were actually condemned, but many who recognized themselves in his views were outraged by the aura of suspicion that had thus been created around his work. Schillebeeckx himself felt misunderstood, but this never led to hostility towards the institutional Church. Numerous honorary doctorates and other awards counterbalanced the criticism from within the Church. In 1982, Prince Bernhard of the Netherlands presented Schillebeeckx with the prestigious Erasmus Prize. Illness and death remain what Schillebeeckx himself called a `contrast experience’, an experience which clarifies that the reality promised in the Biblical texts and the ‘Kingdom of God’ as hoped for in the Christian tradition, may be anticipated, but has not yet been fully realized. 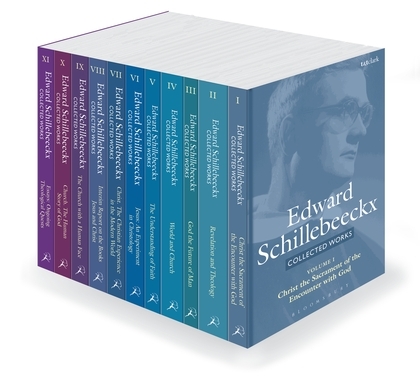 Schillebeeckx’s theology is studied intensively at various places in the world in view of renewing faith and church in relation to the contemporary world. This will undoubtedly continue after his death. There is a Chair established at the Faculty of Theology at Radboud University in order to preserve his legacy under the title ‘Theology and Culture’. Nobody holds the Chair at the moment, but the search for a new chair holder is underway. The Edward Schillebeeckx Foundation collects, organizes, and preserves his body of work and tries to make it accessible to interested parties. But above all, many people in Dutch theology are in fact co-holder of Schillebeeckx’s legacy. In the midst of all that is changed in the Church, in academia and in theology, the combination of openness and sensitivity to cultural and social developments, on which he based theological reflection, and the focus on the eternal mystery as a source and purpose of reality the Christian tradition calls ‘God’, as advocated by Schillebeeckx, remain at the background of their work. Photos from the funeral and the text of Erik Borgman’s reflections are on the Dominican website (www.dominicanen.nl), as well as obituaries. Testimonials can also be found on the website of the Schillebeeckx Foundation (www.schillebeeckx.nl). An obituary from L’Osservatore romano caused some stir, since it could give the impression that the author was saying that Schillebeeckx had not been heard from since the Church book in 1989 and that his era had passed. A good number of people took umbrage at it. My own take was that the author (who had written his dissertation on Schillebeeckx in the 1980s) was critical, but relatively even-handed, especially considering where it was being published.